The 3-1 rolling mobile workshop includes a large storage bin, middle organizer and top tool box. This tool box was constructed with an innovative design, robust structure and large volume. The telescopic handle provides convenient maneuverability and folds down for storage. 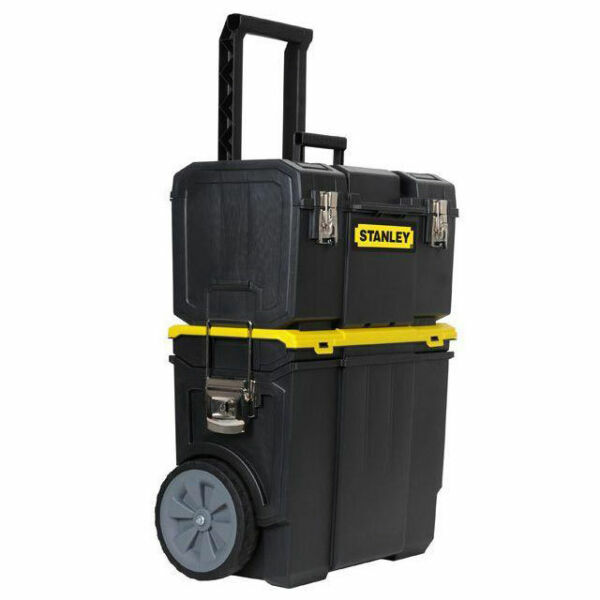 3-in-1 design includes large storage bin, middle organizer and top tool box. Innovative design with robust structure and large volume. Telescopic handle for convenient maneuverability and folds down for storage. Metal front and side latches.